Who is the intruder peeking out behind His Excellency? 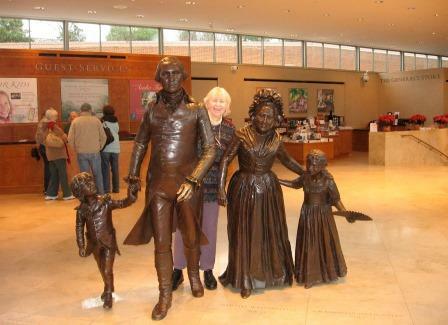 Can you name all four stolid personages pictured here in solid bronze? Then, kindly inform me where in the world is our researcher today? If these dear, sweet people are rushing to board an airplane, or a carriage drawn by 4 fine horses, surely they will never make it!